Be at war with your vices; at peace with your neighbors, and let every new year find you a better man - Benjamin Franklin. Helen of Bollywood (Vol. 1) - at Mediafire! The DVD that started it all is now available at Mediafire! Excellent scene and song from the film noirish Passport (1961). Helen and her sister serve an unsuspecting Pradeep Kumar a spiked drink. This is followed by Helen's wonderfully seductive "Ja Raha Hai Kyun Deewane" which is expertly sung by the marvelous Geeta Dutt. 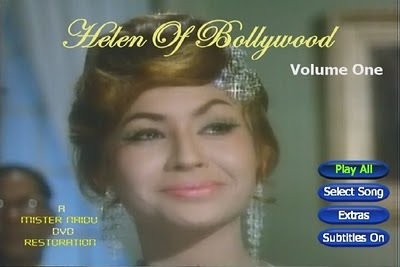 Music was composed by Kalyanji Anandji with lyrics by Qamar Jalalabadi.